To get started go ahead and jack up the front end and support it with jack stands. Now you will need to open the hood. 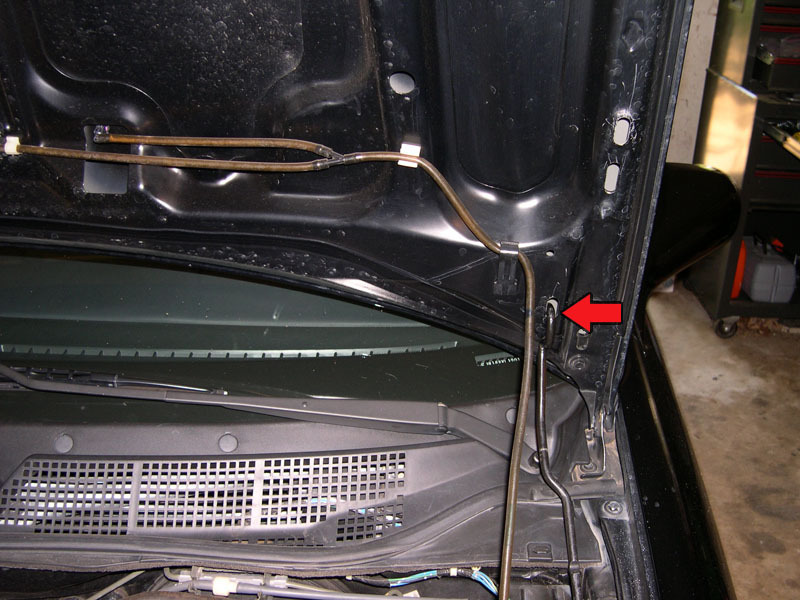 For any of you that do not already use it, use this lower hole for the hood support...it will open your hood almost straight up and give you plenty of room to work. Now you can get up under the car and find the oil drain bolt, you can also see the blue Honda oil filter here too. Time to go ahead and break loose the oil pan drain bolt with your 17mm wrench...just crack it loose for now, don't remove it any further. Now get yourself a drain pan under the engine, making sure to place the pan far enough in front of the drain hole to account for the stong stream of oil that will shoot out when the drain bolt is removed. Once you have the pan positioned go ahead and remove your drain bolt by hand. After you get that last thread free you will have quite a stream of oil coming out. 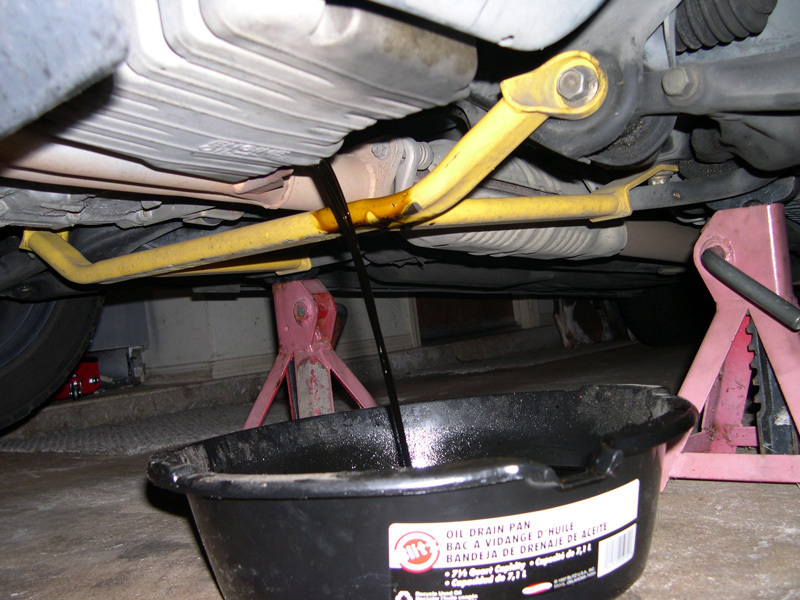 Let the oil drain until you have maybe a drop or two a minute coming out. 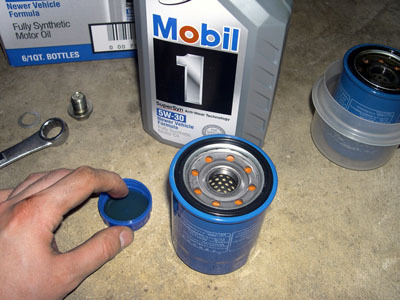 While the oil is draining you can go ahead and get the old oil filter out and a new one in it's place. I find it easiest to remove th e filter from the top...giant arms or aftermarket performance parts might make this impossible though...if that is the case you can easily see from under the car where to remove it. In order to remove the filter from the top you will need to move a few hoses out of the way. 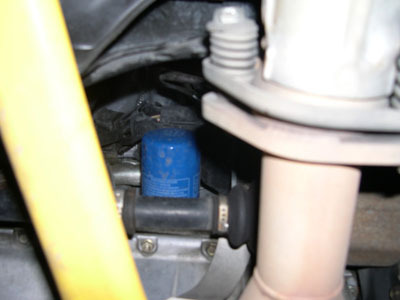 Then you just stick your arm down there with a shop rag to catch any drips, unscrew the filter, and pull it out. It is a good idea to tip the filter back after you clear the last thread so as to limit any oil spillage...you will know what I mean when you get your hands on the filter..
Once you have the filter out you will need to get a new one in it's place...here is a new Honda OE filter and a new drain bolt crush washer. 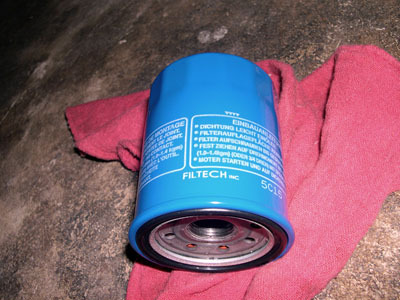 Honda OE oil filters come in two flavors Fram and Filtech...I always ask for Filtech. 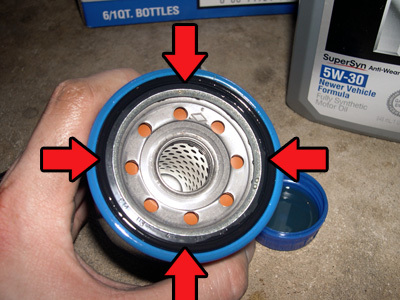 Before you put in your new oil filter you need to take some NEW oil and lubricate the gasket on your new filter. Just get a little on your finger and run it around the entire gasket...this helps create a leak free seal and probably helps when it is time to remove it too. 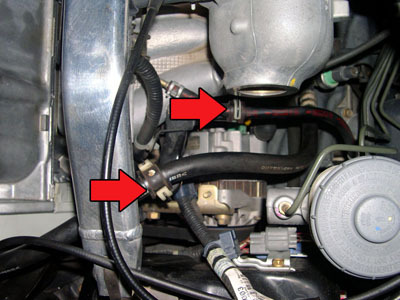 Once you have the filter gasket lubricated, go ahead and install it in the same manner that you removed the old one. Turn the filter until it snugs up against the block, then give it another half turn. Overtightening can cause leakage, but the most common issue is a very hard time removing the filter at the next oil change. After you get your new filter in place you will need to wait until the oil is done draining to continue. 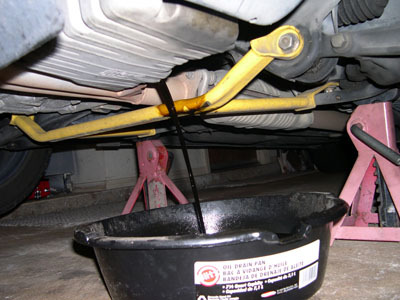 Once the oil has slowed to a drip or two a minute, you can get your drain bolt back in place. 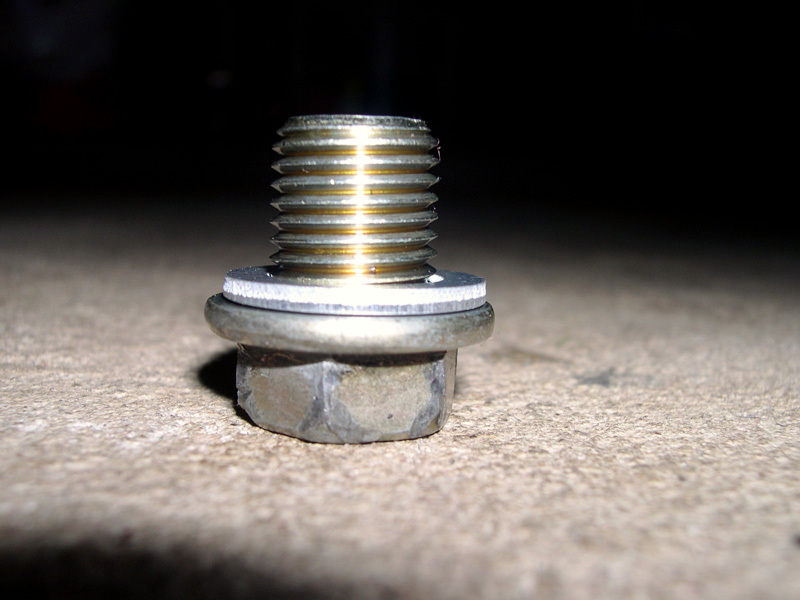 You want to be sure and use a new crush washer on the drain bolt to avoid any leaks. Make sure not to over tighten the drain bolt, as the pan is made of aluminum. Just get it snug. 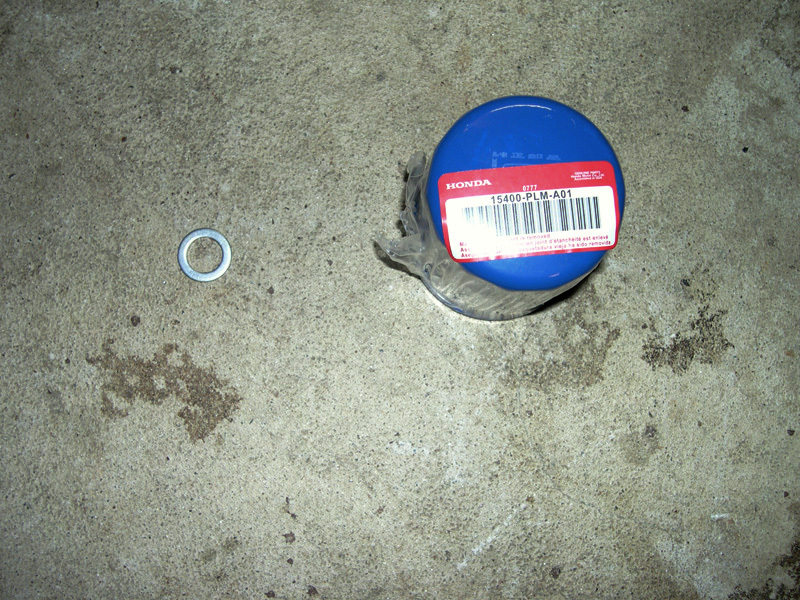 When your new oil filter and the drain bolt are back in place you can start filling the crankcase with new oil. You just need to remove the oil filler cap and pour it on in. 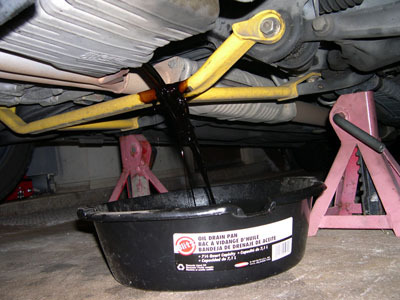 After putting in the appropriate amount of oil, give it a minute or two to settle in the oil pan before checking the level. 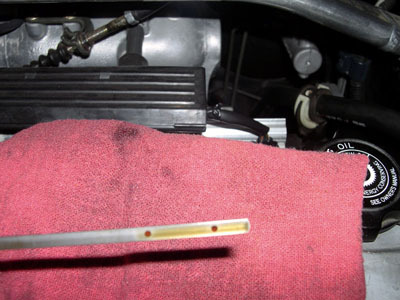 To check the level you need to remove the dipstick and wipe it clean. Then put it back in and check the level. The oil should come up to the second hole on the dipstick...if not then just slowly add more oil until it does. 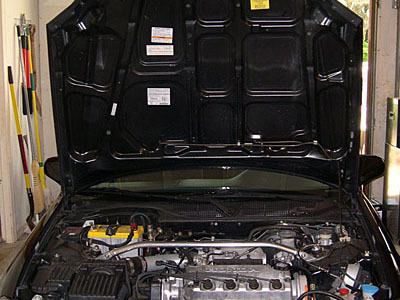 Once you are done replace the dipstick and oil filler cap. Make sure you get any hoses you moved back in place. Next you will need to start the car and check for any leaks. If you find any then just tighten up the filter or drain bolt...whichever is needed. [b]6th Gen (6G) Honda Civic D-Series Oil & Filter Change Procedure[/b] Article By [url=http://georgebelton.com]George Belton[/url] Here are the tools you will need: - Jack & Jack Stands - 17mm Box End Wrench - Some Shop Towels To get started go ahead and jack up the front end and support it with jack stands. [img]http://georgebelton.com/6g.civic.tech/oil.change/oil.change.000_th.jpg[/img] Now you will need to open the hood. 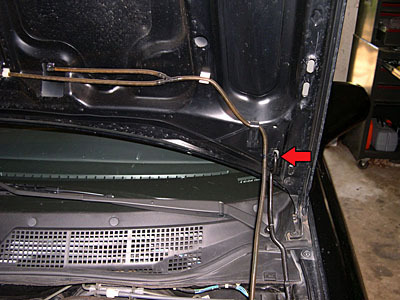 For any of you that do not already use it, use this lower hole for the hood support...it will open your hood almost straight up and give you plenty of room to work. [img]http://georgebelton.com/6g.civic.tech/oil.change/oil.change.001_th.jpg[/img][img]http://georgebelton.com/6g.civic.tech/oil.change/oil.change.002_th.jpg[/img] Now you can get up under the car and find the oil drain bolt, you can also see the blue Honda oil filter here too. [img]http://georgebelton.com/6g.civic.tech/oil.change/oil.change.003_th.jpg[/img][img]http://georgebelton.com/6g.civic.tech/oil.change/oil.change.004_th.jpg[/img] Time to go ahead and break loose the oil pan drain bolt with your 17mm wrench...just crack it loose for now, don't remove it any further. Now get yourself a drain pan under the engine, making sure to place the pan far enough in front of the drain hole to account for the stong stream of oil that will shoot out when the drain bolt is removed. Once you have the pan positioned go ahead and remove your drain bolt by hand. After you get that last thread free you will have quite a stream of oil coming out. Let the oil drain until you have maybe a drop or two a minute coming out. [img]http://georgebelton.com/6g.civic.tech/oil.change/oil.change.005_th.jpg[/img][img]http://georgebelton.com/6g.civic.tech/oil.change/oil.change.006_th.jpg[/img] While the oil is draining you can go ahead and get the old oil filter out and a new one in it's place. I find it easiest to remove th e filter from the top...giant arms or aftermarket performance parts might make this impossible though...if that is the case you can easily see from under the car where to remove it. [img]http://georgebelton.com/6g.civic.tech/oil.change/oil.change.007_th.jpg[/img] In order to remove the filter from the top you will need to move a few hoses out of the way. 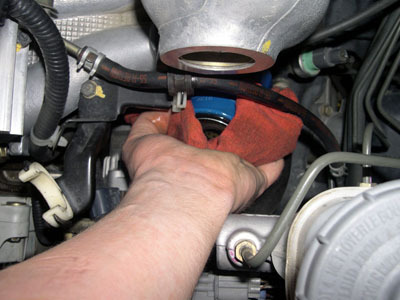 [img]http://georgebelton.com/6g.civic.tech/oil.change/oil.change.008_th.jpg[/img] Then you just stick your arm down there with a shop rag to catch any drips, unscrew the filter, and pull it out. 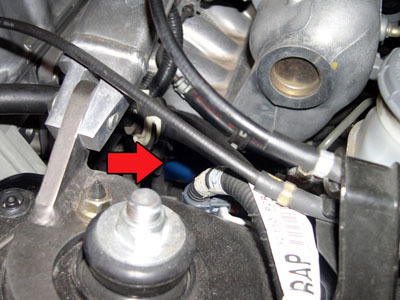 It is a good idea to tip the filter back after you clear the last thread so as to limit any oil spillage...you will know what I mean when you get your hands on the filter.. [img]http://georgebelton.com/6g.civic.tech/oil.change/oil.change.009_th.jpg[/img] Once you have the filter out you will need to get a new one in it's place...here is a new Honda OE filter and a new drain bolt crush washer. [img]http://georgebelton.com/6g.civic.tech/oil.change/oil.change.010_th.jpg[/img] Honda OE oil filters come in two flavors Fram and Filtech...I always ask for Filtech. [img]http://georgebelton.com/6g.civic.tech/oil.change/oil.change.011_th.jpg[/img] Before you put in your new oil filter you need to take some NEW oil and lubricate the gasket on your new filter. 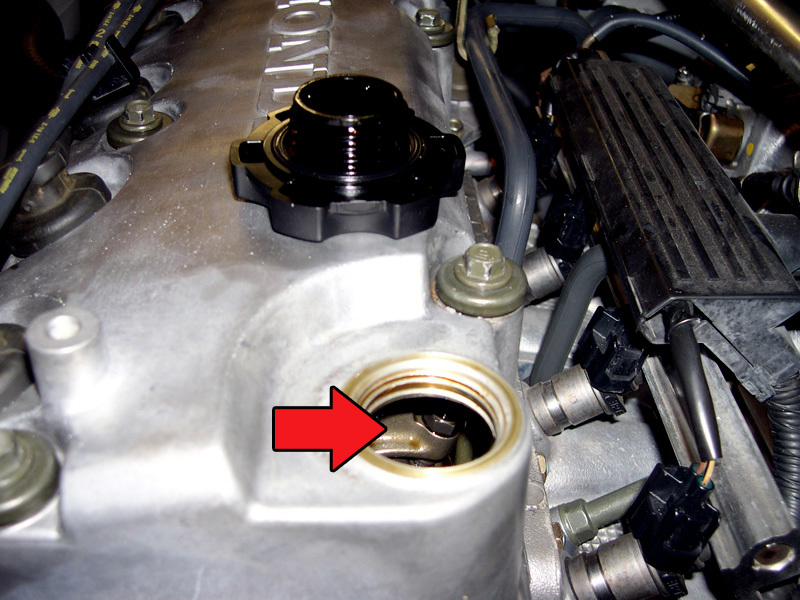 Just get a little on your finger and run it around the entire gasket...this helps create a leak free seal and probably helps when it is time to remove it too. Once you have the filter gasket lubricated, go ahead and install it in the same manner that you removed the old one. Turn the filter until it snugs up against the block, then give it another half turn. 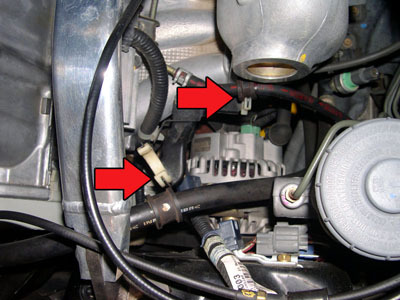 Overtightening can cause leakage, but the most common issue is a very hard time removing the filter at the next oil change. [img]http://georgebelton.com/6g.civic.tech/oil.change/oil.change.012_th.jpg[/img][img]http://georgebelton.com/6g.civic.tech/oil.change/oil.change.013_th.jpg[/img] After you get your new filter in place you will need to wait until the oil is done draining to continue. 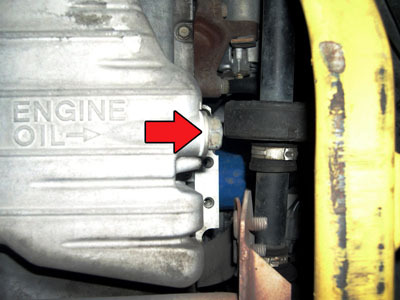 Once the oil has slowed to a drip or two a minute, you can get your drain bolt back in place. You want to be sure and use a new crush washer on the drain bolt to avoid any leaks. Make sure not to over tighten the drain bolt, as the pan is made of aluminum. Just get it snug. [img]http://georgebelton.com/6g.civic.tech/oil.change/oil.change.014_th.jpg[/img] When your new oil filter and the drain bolt are back in place you can start filling the crankcase with new oil. 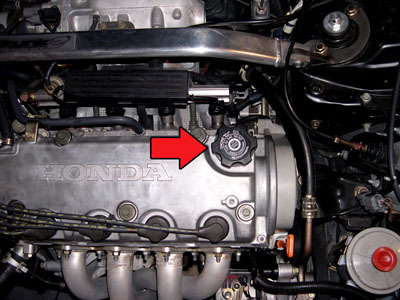 You just need to remove the oil filler cap and pour it on in. D16Y5 & D16Y8 - 3.5 Quarts D16Y7 - 3.8 Quarts [img]http://georgebelton.com/6g.civic.tech/oil.change/oil.change.015_th.jpg[/img][img]http://georgebelton.com/6g.civic.tech/oil.change/oil.change.016_th.jpg[/img] After putting in the appropriate amount of oil, give it a minute or two to settle in the oil pan before checking the level. To check the level you need to remove the dipstick and wipe it clean. Then put it back in and check the level. 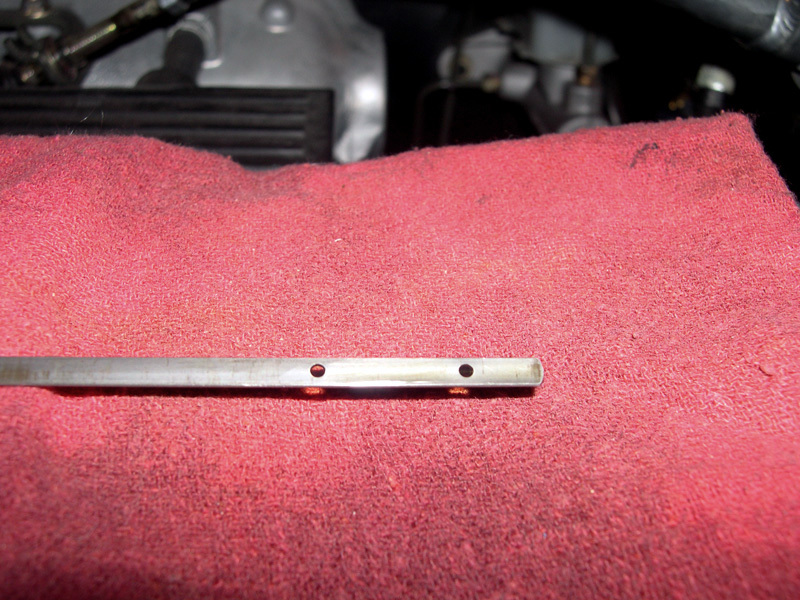 The oil should come up to the second hole on the dipstick...if not then just slowly add more oil until it does. Once you are done replace the dipstick and oil filler cap. [img]http://georgebelton.com/6g.civic.tech/oil.change/oil.change.017_th.jpg[/img][img]http://georgebelton.com/6g.civic.tech/oil.change/oil.change.018_th.jpg[/img] Make sure you get any hoses you moved back in place. [img]http://georgebelton.com/6g.civic.tech/oil.change/oil.change.019_th.jpg[/img] Next you will need to start the car and check for any leaks. If you find any then just tighten up the filter or drain bolt...whichever is needed. 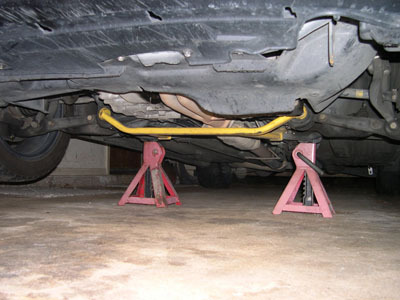 If there are no leaks then just lower the car off the jack stands and you are done! You can find the full article with links to larger images [url=http://www.georgebelton.com/6g.civic.tech/oil.change/index.php]HERE[/url].